Dante Gabriel Rossetti. 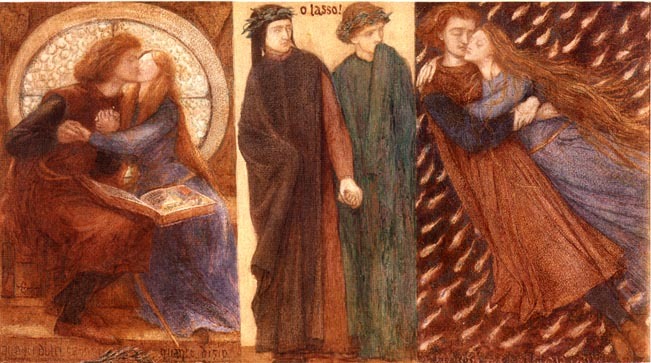 Paolo and Francesca. 1849-62. Mixed media, 12 l/2 x 23 3/4 in. Cecil Higgins Art Gallery, Bedford. (A version is also in the Tate Gallery).